Somewhere in the picture below we have cleverly hidden a can of spam. If you think you've found the spam, click on it to find out if you're right. You probably don't think there is any spam in the picture, but look closely. Many people only find the spam after staring intently at the picture for several hours. Good luck and find that spam! If you've tried and tried and still can't get it, there's a Spam Help page. Do you have absolutely no life? If so, take a look at the archive of Old Spam entries. With long diagonals, sloping too. ...that's why your darned Spam is costing you so much! Them damned chem trails are turning all our hogs gay! Diaper Baby Trump Has Already Won 2020! heyyyyyyy you went full retard! A Spam whale joke doesn't require a punch line. WikiLeaks can just release the Trump Golden Showers stuff if they send Assange to the US. 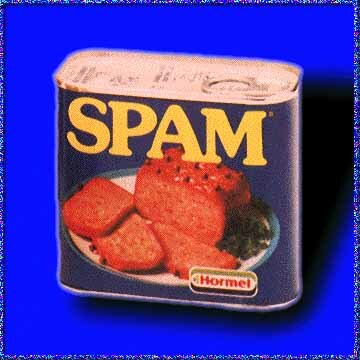 If Spam was from Austin, Texas it would be regarded as a superstar luncheon meat. *Note: Do not enter anything terribly offensive, do not enter phone numbers or other people's email address, and no adventurous html please. SPAM is a registered trademark of the mighty Hormel Foods Corporation, Austin MN.